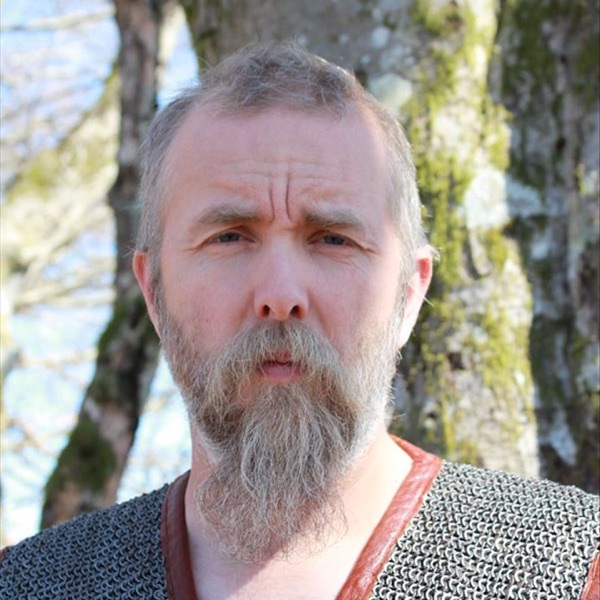 Burzum is the one-man project of Varg Vikernes (born Christian Vikernes, aka Count Grishnackh), perhaps the most notorious figure in Norwegian black metal. Although Burzum had an unpredictably experimental bent -- encompassing black metal, industrial, electronic, and dark ambient music -- Vikernes will forever be associated with his conviction for the 1993 murder of former Mayhem bandmate Euronymous. It wasn't the first time Vikernes had run afoul of the law; he had been a suspect in arsons directed at historic Norwegian churches in Bergen, a perception not helped by his use of a post-fire photograph of the Fantoft Kirke church on the cover of Burzum's 1993 Aske EP. Coupled with Vikernes' racist, virulently anti-Judeo-Christian beliefs was a sort of nationalistic pride, a longing to return to the pre-Christian pagan culture and religion that had marked the glory days of the Vikings; this paganism became a frequently recurring theme in black metal circles, and led to the Norwegian metal sound being tagged Viking metal in some quarters. As for his recording career, Vikernes issued the eponymous Burzum debut in 1992 under his Count Grishnackh alias (taken from a J.R.R. Tolkien book); it was largely a typical black metal record, although it featured a few synth dabblings and slower passages, neither of which had yet found much favor on the scene. Released in 1993, Det Som Engang Var expanded on those innovations while retaining an overall metal flavor. Hvis Lyset Tar Oss (If the Light Takes Us), issued in 1994 shortly after Vikernes' imprisonment, integrated synthesizers more fully into the Burzum sound, and the all-electronic closing track foreshadowed Burzum's later move into dark ambient. The well-received industrial/electronic-tinged Filosofem appeared in 1996, although it had been recorded (but not mixed) prior to Vikernes' incarceration. 2019-4-24 08:54 GMT+8 , Processed in 0.077619 sec., 17 queries .